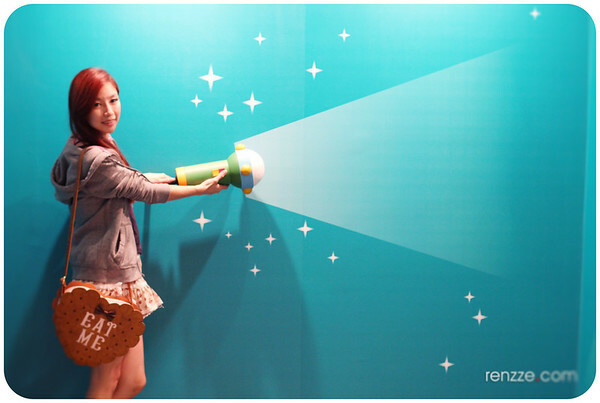 Sorry for the unexpected hiatus I took from blogging. I’m currently still in Australia for an extended birthday trip. 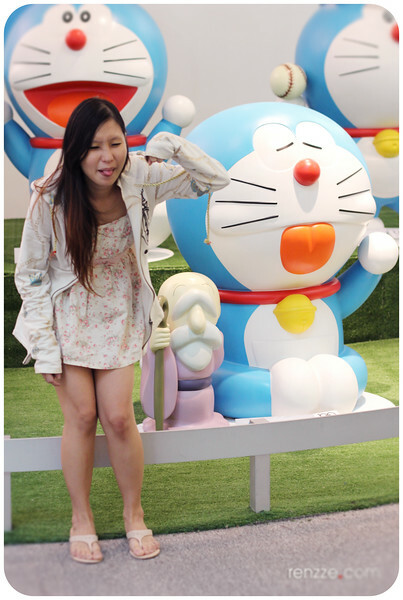 I fell quite sick on the first week I arrived down under and took forever to fully recover due to the crazy weather and my inherent asthma condition. 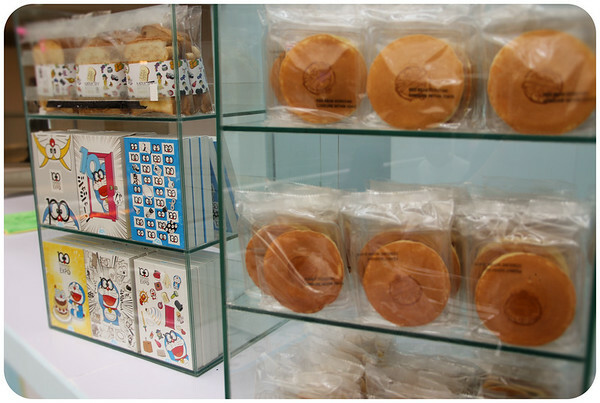 Thankfully, I’m all well and back on track. I’m loving the laid back lifestyle down under and it has be a wonderful birthday trip but I’ll be back in Singapore by the end of next week. 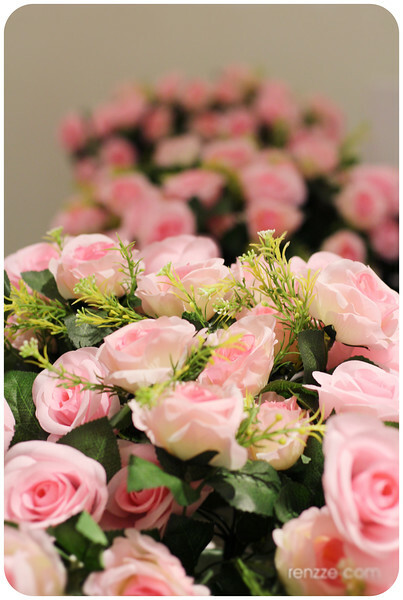 The restful days I enjoyed has helped refresh my body and soul so I can focus on the multitude of tasks awaiting my attention once I get back home. 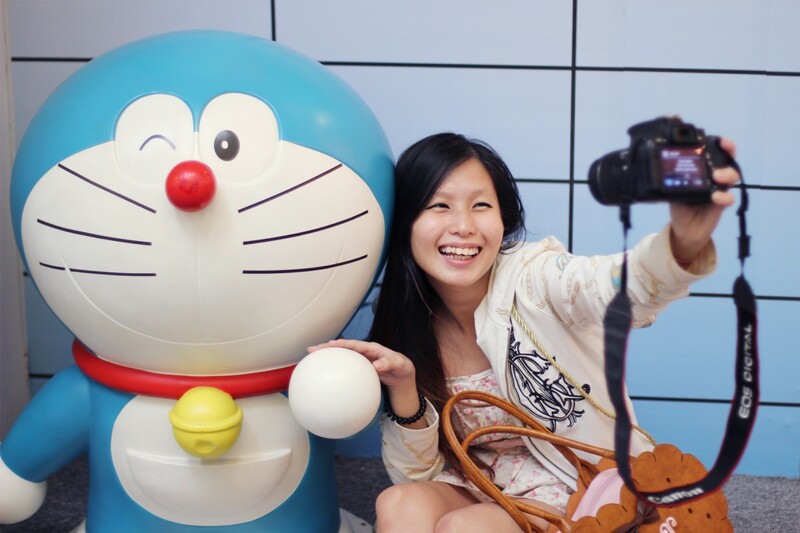 One of the posts I’ve been meaning to share but never got round to was about my little weekend road trip to Johor Bahru with Raphael, Regina and my sister before I came to Australia. 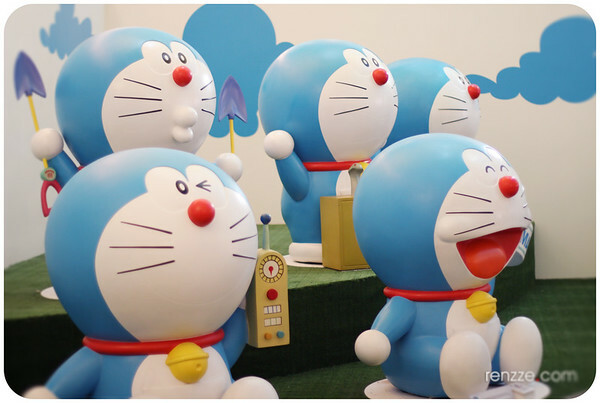 We had lots of fun on our day trip across the causeway but our main aim was to visit the 100 Doraemon Exhibition. 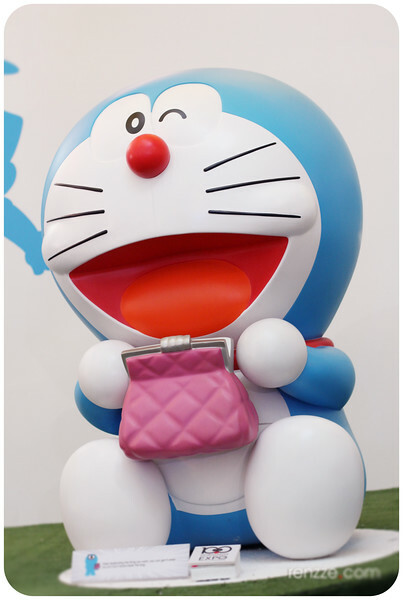 I’m a 80’s kid and Doraemon was a familiar character while I was growing up. I can’t speak for the younger generations but most adults would probably remember watching “Xiao Ding Dang” on TV or getting amazed by his “magic pouch” in comic books. 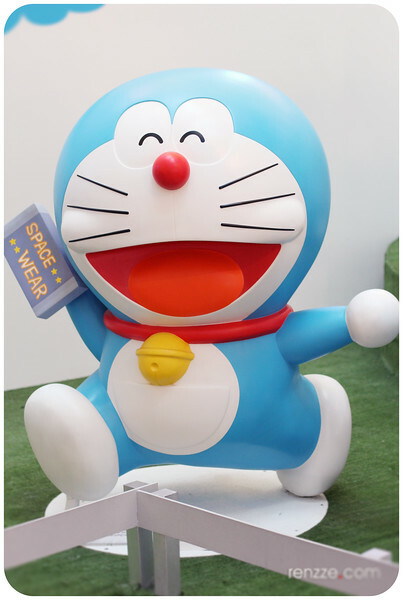 The 100 Doraemon Secret Gadget Exhibition is finally here in South East Asia at Johor Bahru City Square Mall from now till 4th January 2015. 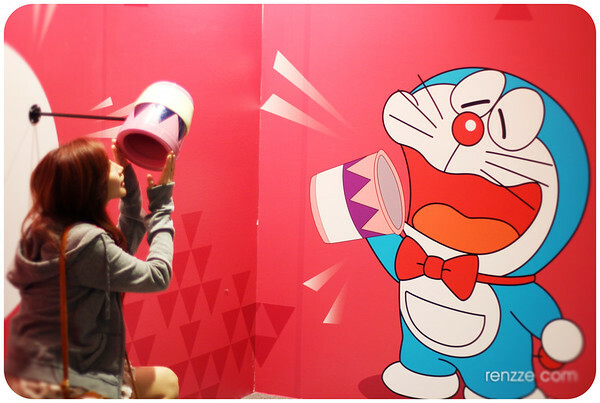 It is open daily from 10am to 10pm with the last entry closing at 9pm. 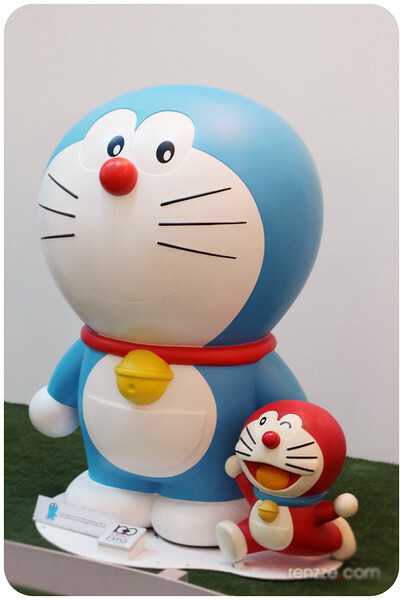 Just like the exhibition title suggests, there are literally 100 Doraemon statues for you to explore. 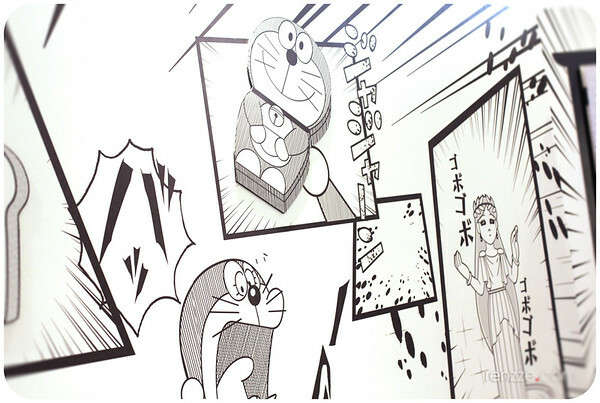 Each and every one is unique with their different secret gadget as seen in the comic series. 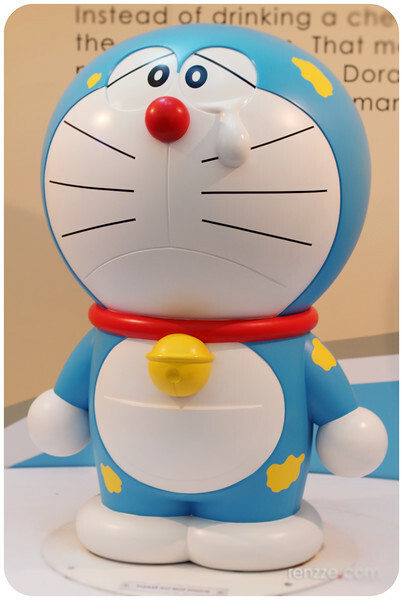 Some of the interesting and unique gadgets that fans can check out include: a “Dokodemo Door” that allows one to travel anywhere by simply going through the door, a “Take-Copter” which is a bamboo propeller which can airlift you to safety, to the all-time favourite “Time Machine” which enables one to travel through time and space. 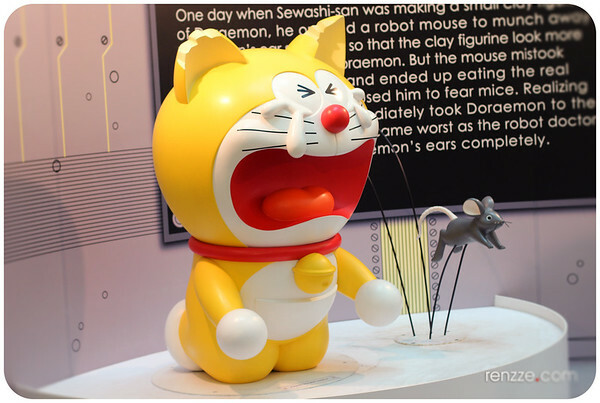 This exhibition is a must-see for any Doraemon fans out there. 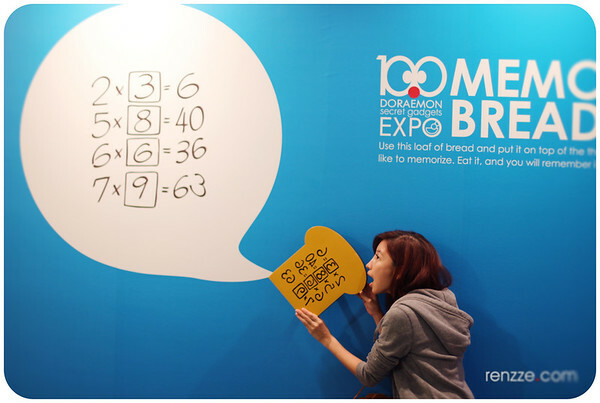 Parents who would like to share their childhood favourites with their kids can also use this event as an opportunity to reminisce and reconnect. 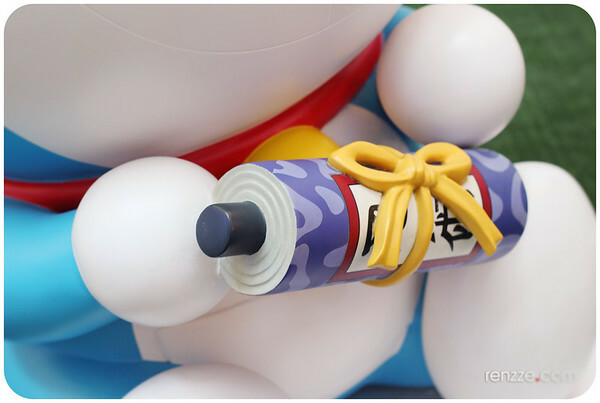 Each statue comes with a description of the secret gadget that Doraemon uses. 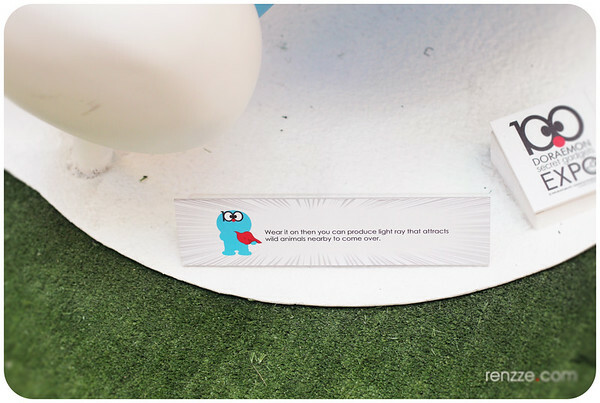 It was quite fun trying to recall what and how each gadget was used before reading the little information tag to see if I remembered it right. 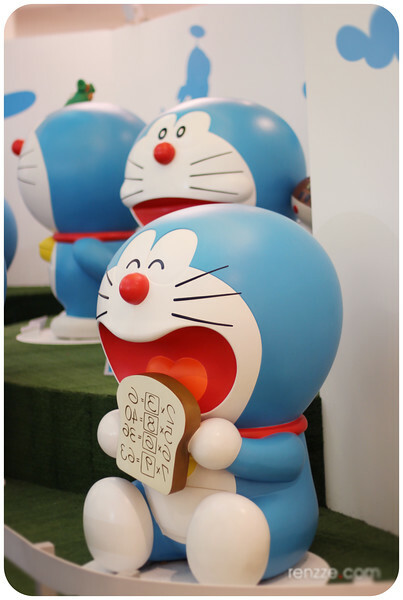 It was in this exhibition that I first learnt about the history and birth of Doraemon. 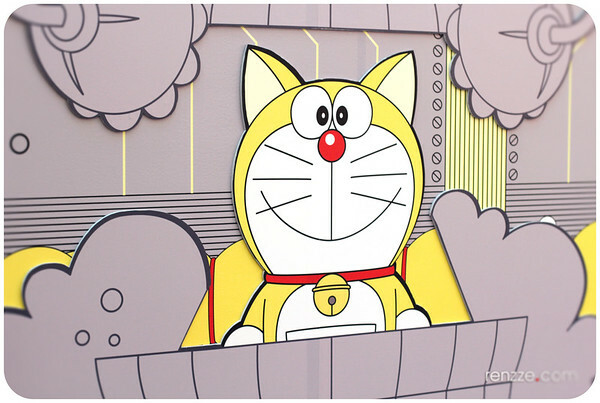 Did you know that Doraemon was originally yellow? 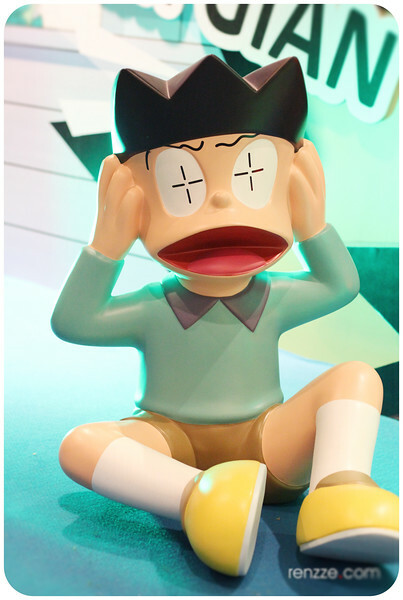 Born in the future of 2112, he was born yellow with ears! 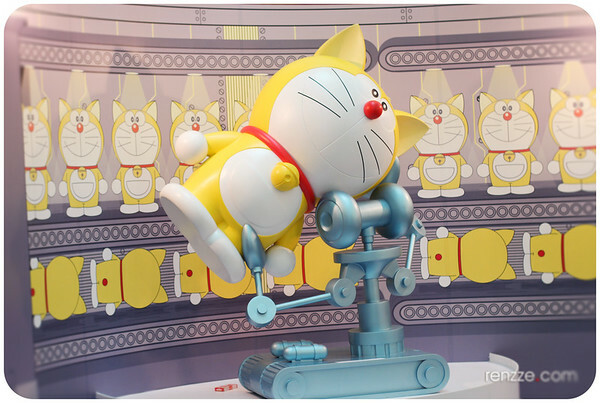 While in the factory, a robot mouse munched away his ears. 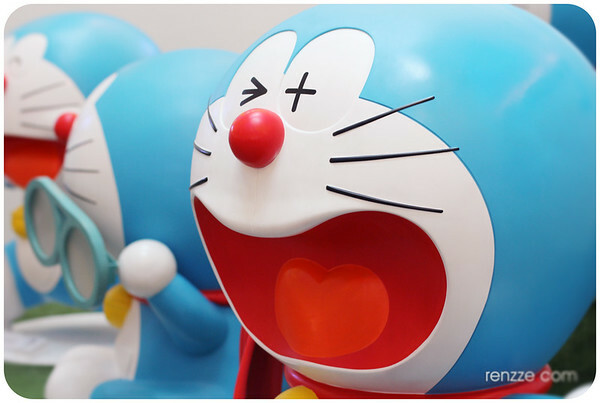 Doraemon was so depressed and unhappy he drank a potion that caused him to cry non-stop for three days. 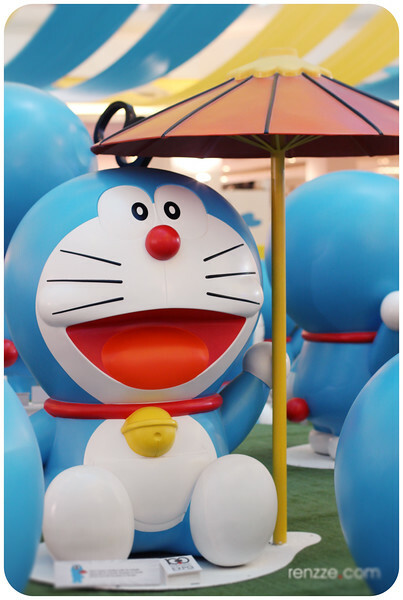 His tears washed away his yellow paint revealing the iconic blue we all recognise and associate with Doraemon today. 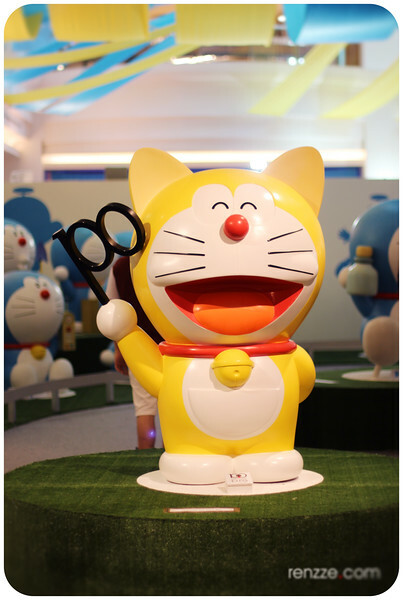 Entering a Doraemon space time warp, the exhibition took me back through the historical moments of Doraemon. 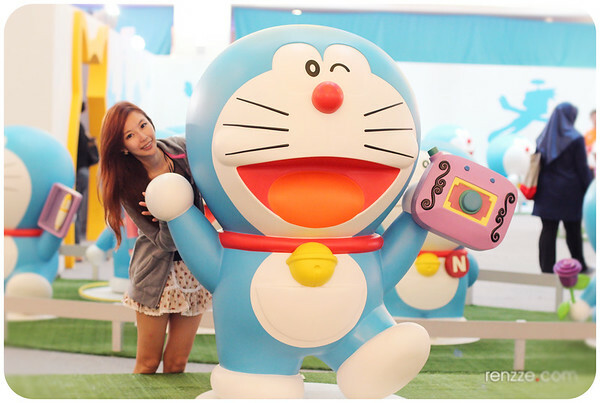 You’ll get to take photos with all the other characters in the comics and play with Doraemon secret gadgets! 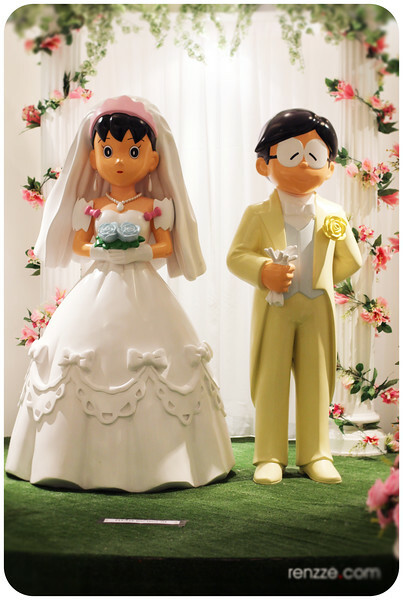 I loved the wedding scene! 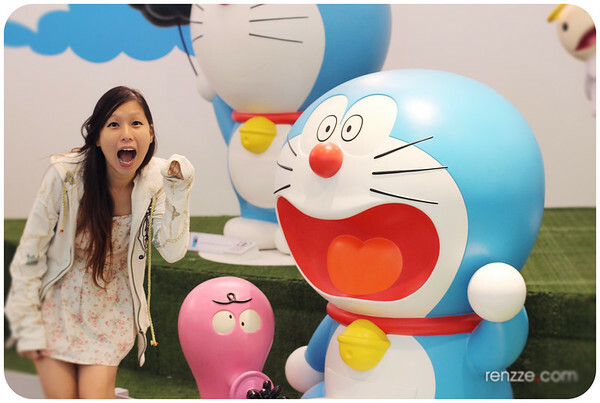 See me wield all the various secret gadgets as I unleash my inner Doraemon powers! 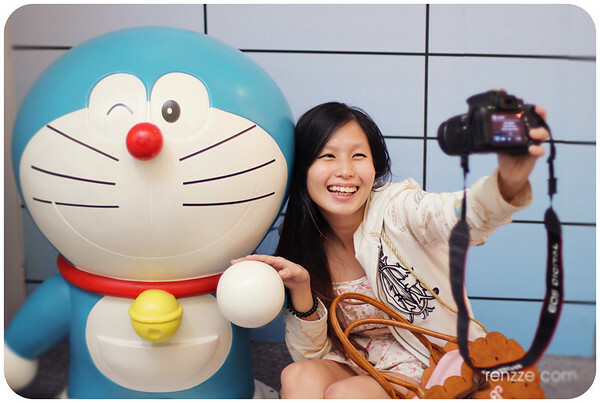 My sister doing an epic selfie with a DSLR. Have I ever told you that she’s a total selfie queen? 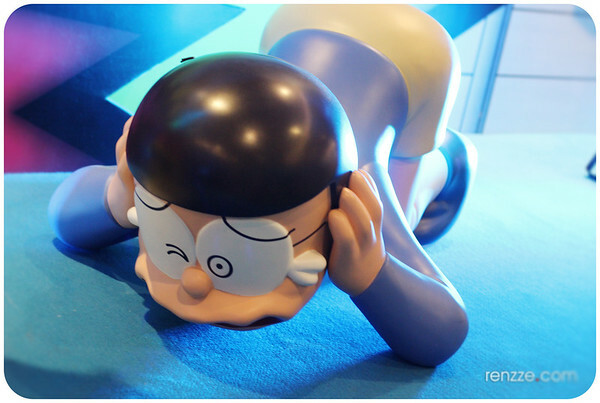 One of the more interesting parts of the exhibition is the recreation of iconic scenes and locations from Doraemon. 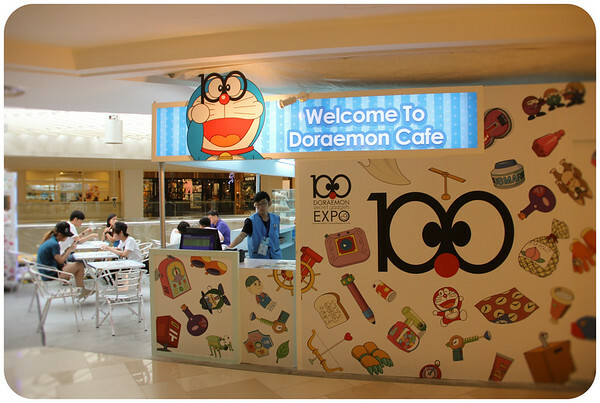 To round off the whole experience you may want to visit the Doraemon cafe as well. 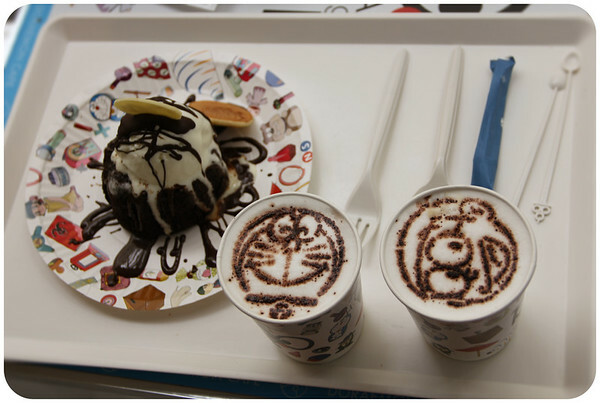 Photos of the Doraemon cafe was kindly taken by Alvin.